Nutrition All You Need to Know! 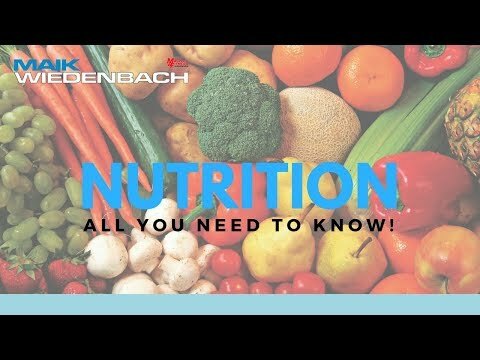 This is the ultimate video on nutrition., all you need to know. What to eat for cutting, bulking, when to eat it and how much. No more fad diets, detox teas or dangerous science! 1. Should I go low carb or low fat? 3. When should I eat? After watching this video you will be able to navigate your own diet without problems. Previous post: How to properly eat and train when bulking! people make food too complicated! Thanks for debunking a lot of nutrition myths and providing clear facts that a lay person like myself can understand and follow. thanks for reading! glad its helpful! This info was all I wanted to get back my sanity! I can fix my diet easily now for all modes (cutting or bulking).